Skye Gould/Business InsiderA Michelin Star is one of the greatest honours a restaurant can receive. Gordon Ramsay, the British celebrity chef known for the passionate and mean way he tears apart subpar food, actually cried when his New York restaurant The London lost its prestigious two Michelin Stars last year, he told the Daily Mail. When your restaurant is awarded a Michelin Star, it is a sign that you’ve succeeded at the highest level as a chef. Two Stars and your restaurant is excellent. Three Stars and your restaurant is worth travelling to. And it’s actually for that last reason, travelling, that the Michelin brothers Ándre and Édouard started the Michelin Guide in 1900. The French entrepreneurs had started a tire company 11 years earlier, and they decided that a ratings guide for hotels and restaurants would compel the limited number of drivers to use up their tires and buy more. 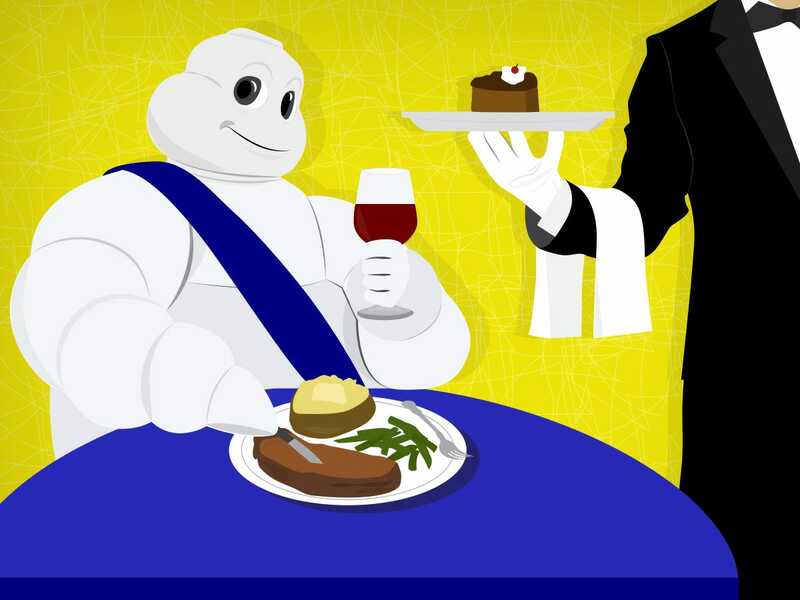 Yes, the Michelin that makes or breaks fine dining establishments around the world is the same Michelin that manufactures tires. “From an image standpoint, it certainly has helped as a halo for a tyre brand. Because tires, of course, aren’t the sexiest product,” Tony Fouladpour, Michelin North America’s director of corporate public relations, tells Business Insider. “The image of Michelin is that of a premium, high-quality brand. And some say that the Michelin Guide is the Bible of all dining guides,” he says. Back when the Michelin brothers decided to start the guide at the turn of the 20th century, there were only around 2,200 cars in France, the government had yet to establish an extensive road system, and gasoline had to be purchased at select pharmacies. 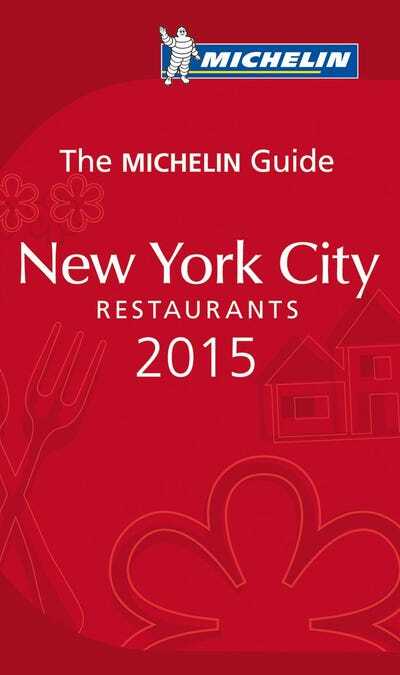 AmazonThe 2015 NYC Michelin Guide came out on Oct. 1. The Michelins were so determined to turn vehicles from a novelty that took drivers to a Sunday picnic to a viable mode of transportation over long distances. They gave out guides that cataloged hotels, mechanics, and gasoline vendors throughout France. They even went as far as to put up homemade road signs to assist travellers, according to Michelin. As the tyre company grew, so did their guide. They launched country-specific editions throughout Europe that became popular enough to compel the brothers to start charging for the booklets in 1920. In 1926, the guide expanded to the industry that made it famous – fine dining. Five years later, the three-star system was introduced. The inspectors are anonymous and barred from speaking to journalists. They all have an extensive background in the culinary arts, and many are former chefs, Fouladpour says. They all must pass official Michelin Guide training in France. Unlike many food critics, they do not take notes while eating, and will often visit a restaurant multiple times unaccompanied before reaching a conclusion. Michelin’s high profile, especially in Europe, has come with some controversy, most notably when former French inspector Pascal Rémy released the book “L’Inspecteur se Met à Table” (“The Inspector Sits at the Table”) in 2004. The tell-all portrays the job as lonely, underpaid, and increasingly lax in its standards. Michelin has dismissed the accusations but says plainly that the job of anonymously reviewing restaurants is not as glorious as some may think. It has also been accused of favouring French institutions. But Michael Ellis, the international director of the guide, says that all it takes is a look at the latest star selections to see that the accusation is stale. The Michelin Guide represents a minute fraction of a massive company, Fouladpour says, and rather than being profitable, it is mostly a brand-building tool and a way to build on tradition rooted in the company’s founders. The guide has been in the US for a decade now, beginning in New York City and then expanding to Chicago and San Francisco. Fouladpour tells us that Michelin is aware that even though the guide is gaining recognition in the US, many do not make the connection between it and the tyre company.